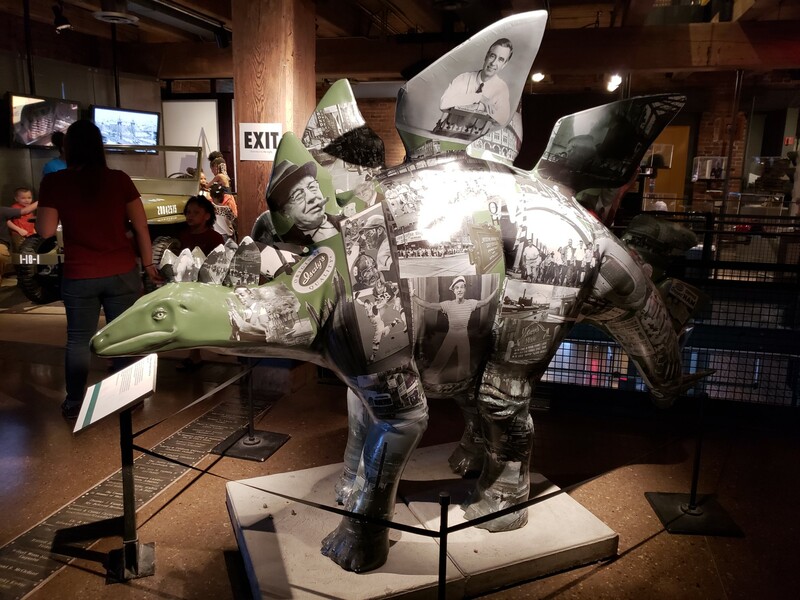 Our 2018 Road Trip, Part 46: Pieces of Pittsburgh « Midlife Crisis Crossover! 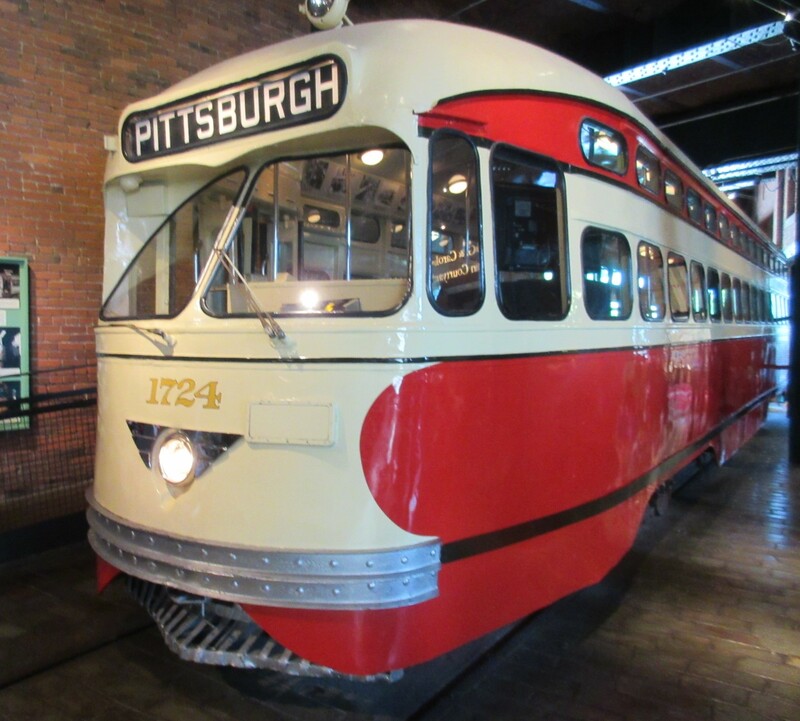 Pittsburgh electrical pioneer George Westinghouse had a giant company and licensed patents from Nikola Tesla. 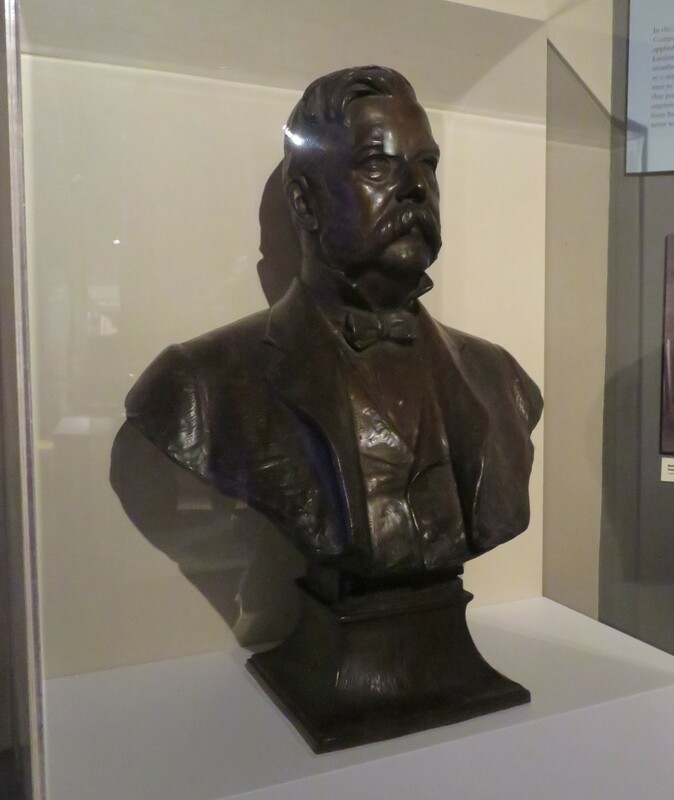 This 1942 bust was by Daniel Chester French, who also sculpted the Lincoln Memorial. 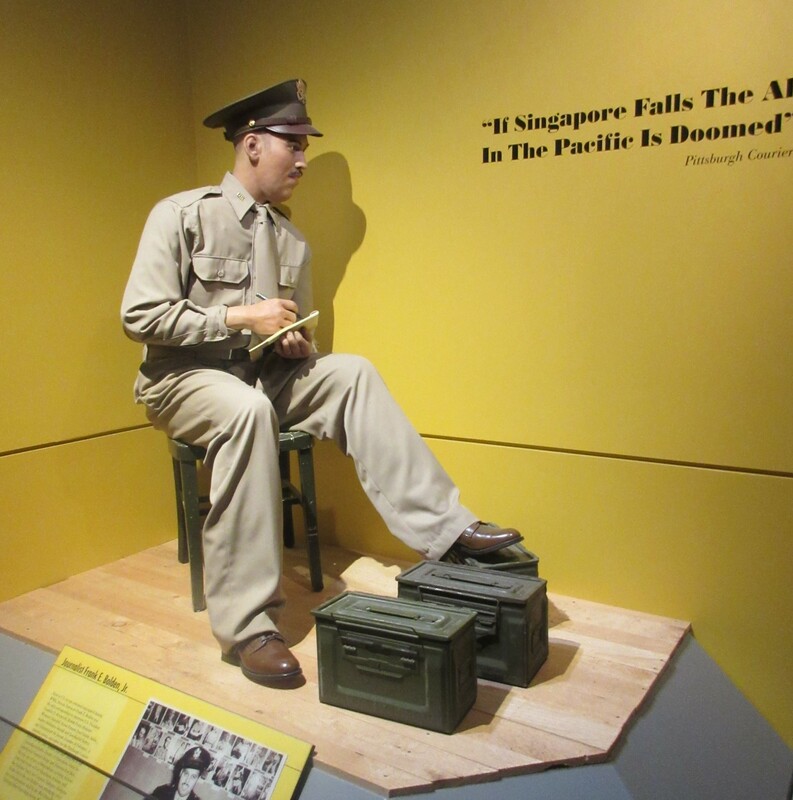 Frank E. Bolden Jr., one of only two African-American accredited war journalists during WWII. 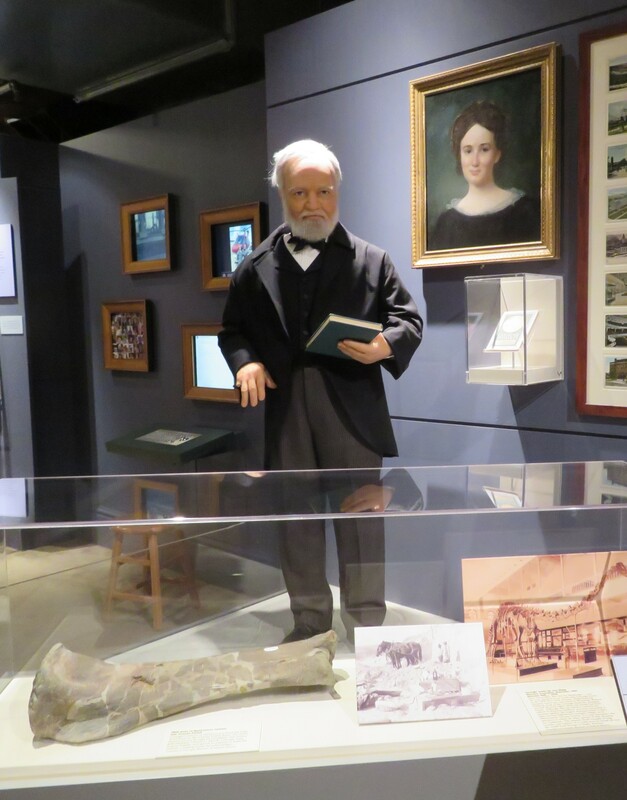 Millionaire philanthropist Andrew Carnegie, who started the company that later became U.S. Steel. You may also have heard of his Carnegie Hall in NYC, among other entities still around. 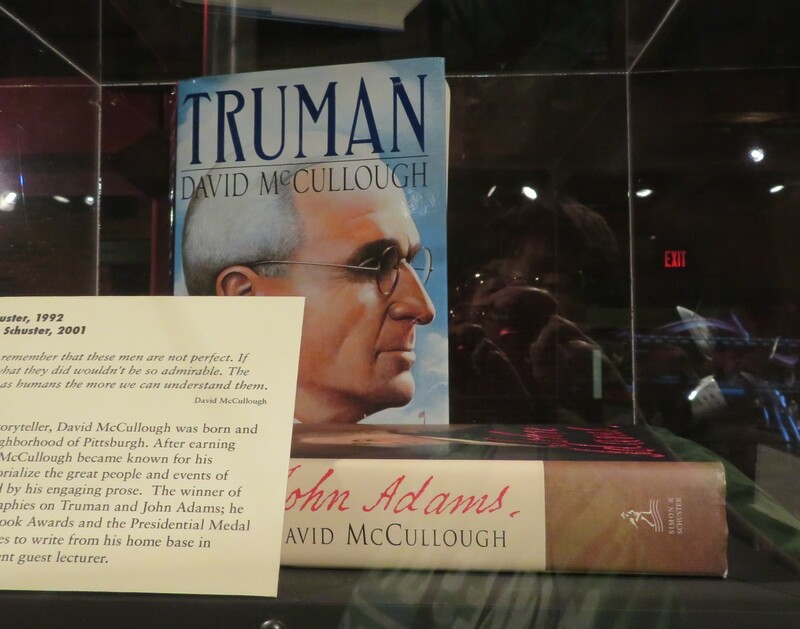 Anne has read nearly every book by acclaimed historian and two-time Pulitzer winner David McCullough, whose John Adams was turned into an HBO miniseries. 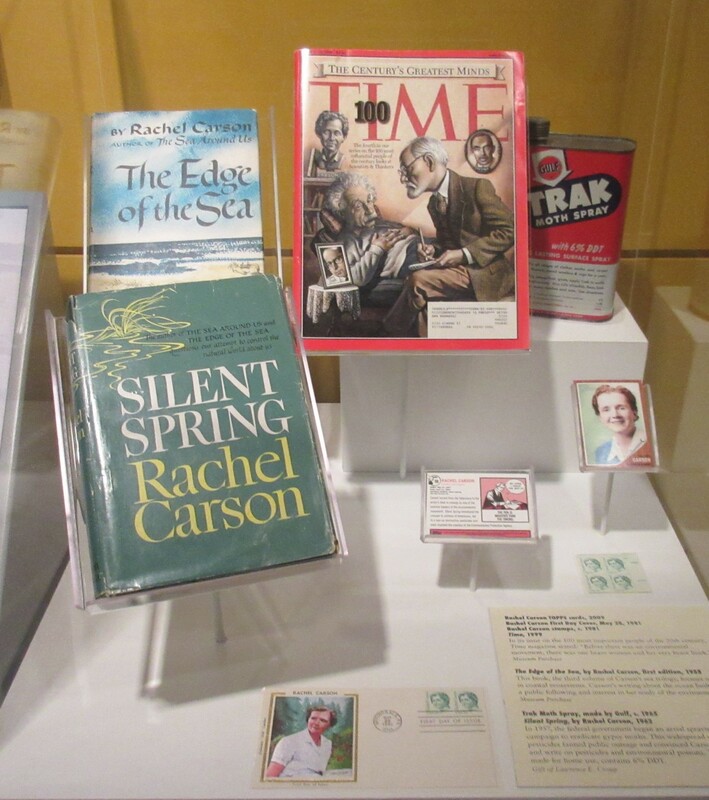 The writings of environmentalist Rachel Carson, which exposed the dangers of pesticides to an uninformed public and inspired the movement that led to the creation of the E.P.A. Someone even made trading cards of her. 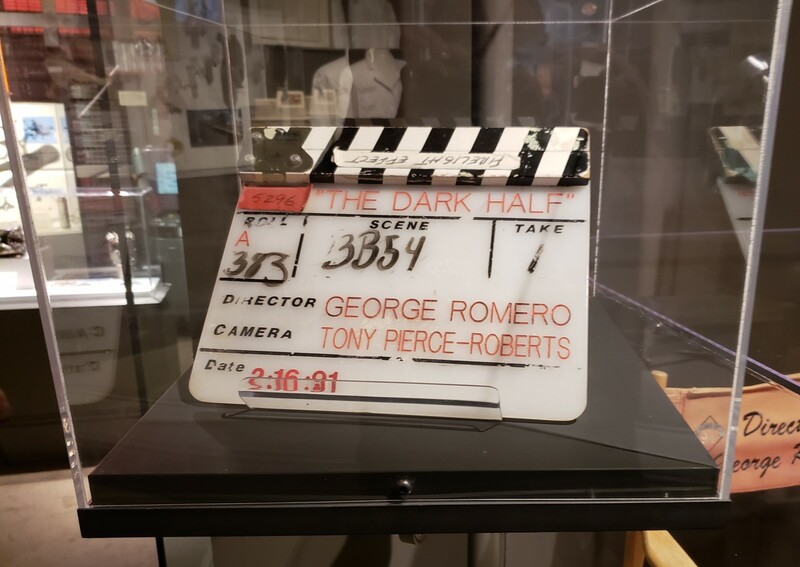 Director George Romero wasn’t from Pittsburgh, but he filmed Dawn of the Dead at a mall not far from our hotel in Monroeville. Also filmed in the vicinity: Romero’s adaptation of Stephen King’s The Dark Half starring Timothy Hutton. 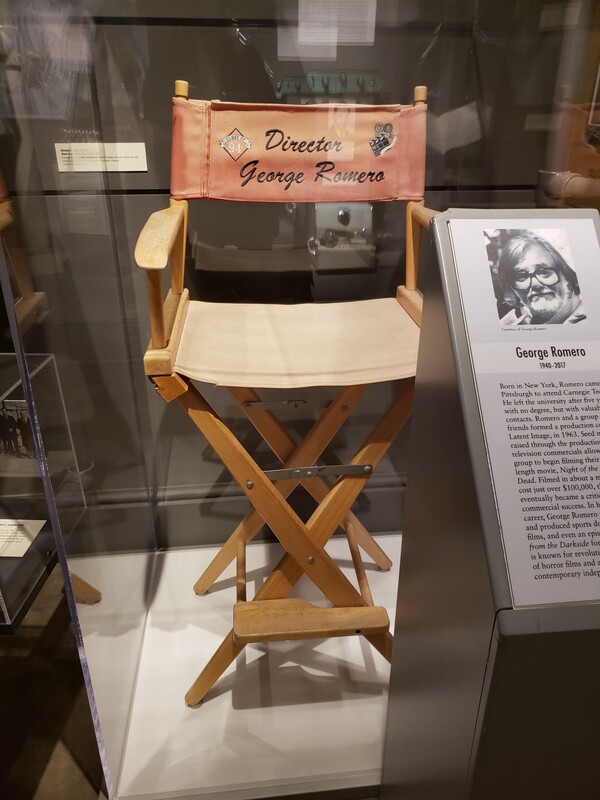 It wasn’t a great movie, but still: George Romero! 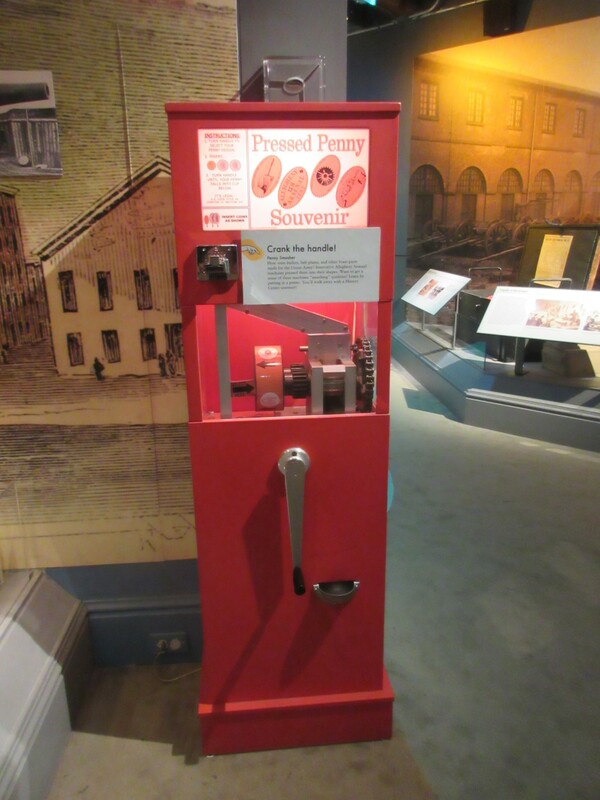 Anne was happy to find a smashed penny machine. She was less happy when it ate her money. 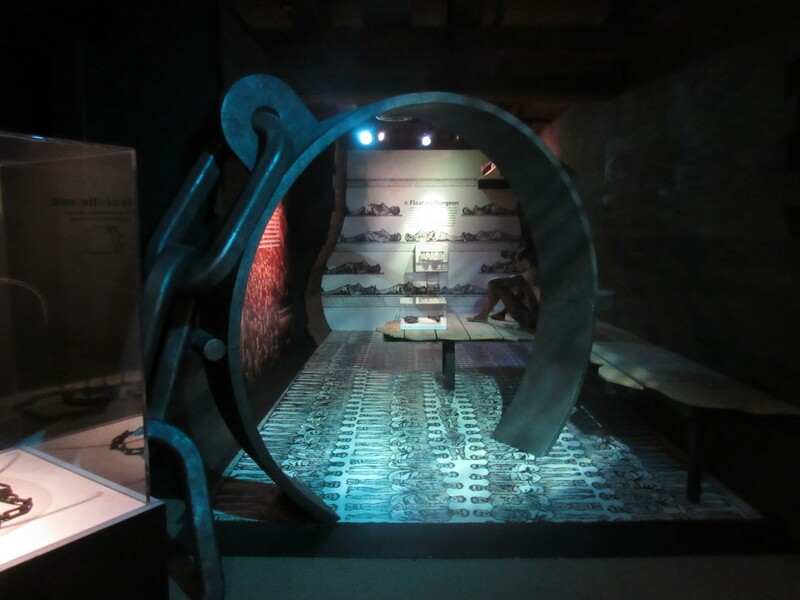 The general history area leads off with the mandatory coverage of slavery. 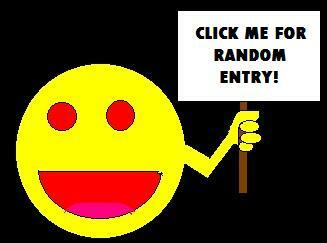 First one must pass through the foreboding manacle. 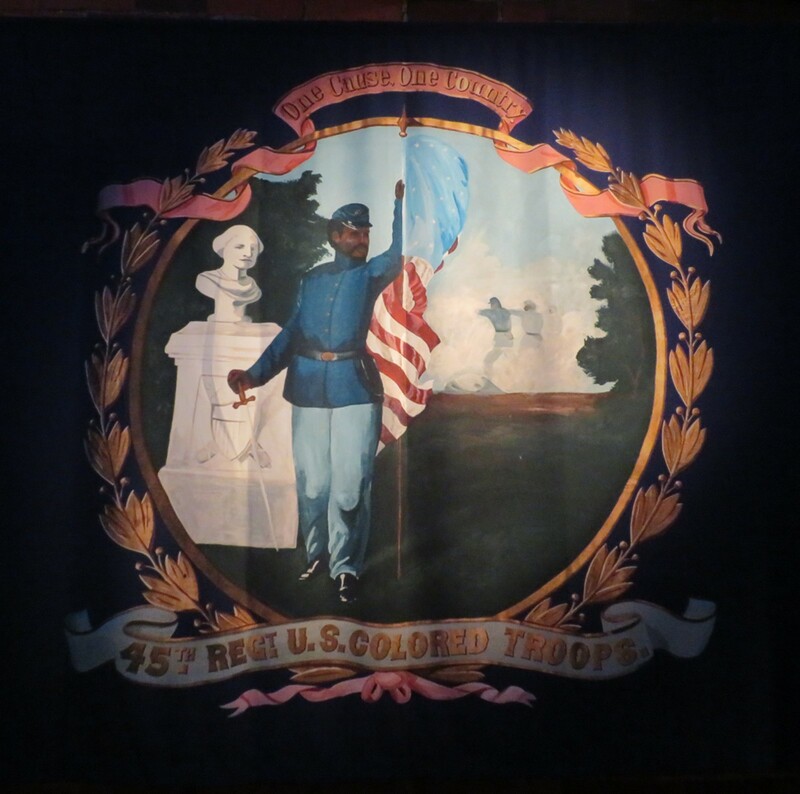 The 45th Regiment US Colored Troops formed in 1864. Though for some reason credited to West Virginia, its soldiers came from various contiguous states including Pennsylvania. 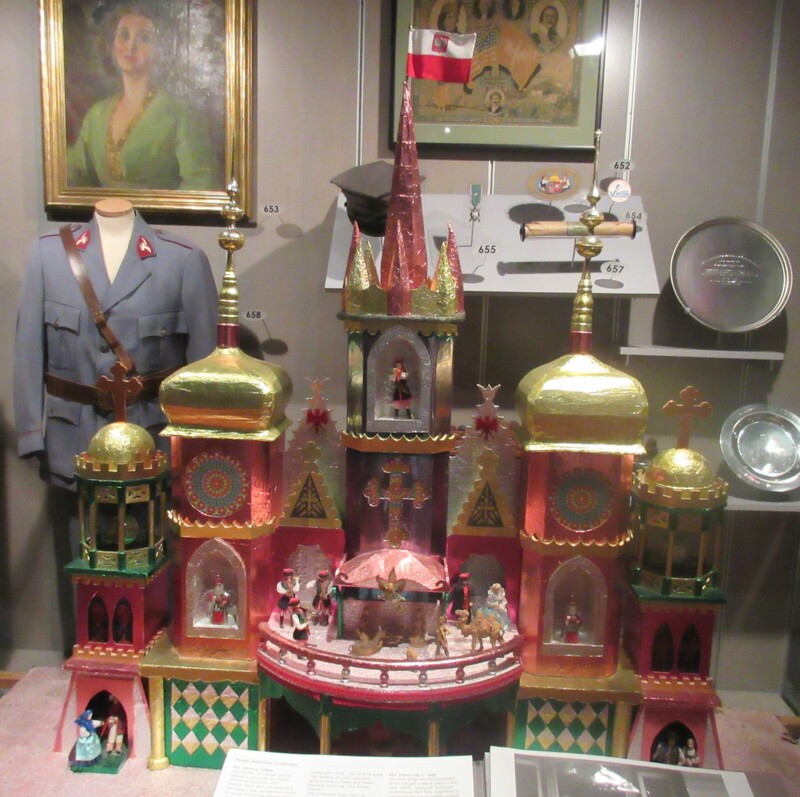 A section honoring local immigrant communities included works such as this Polish-American traveling Christmas Story manger puppet show. 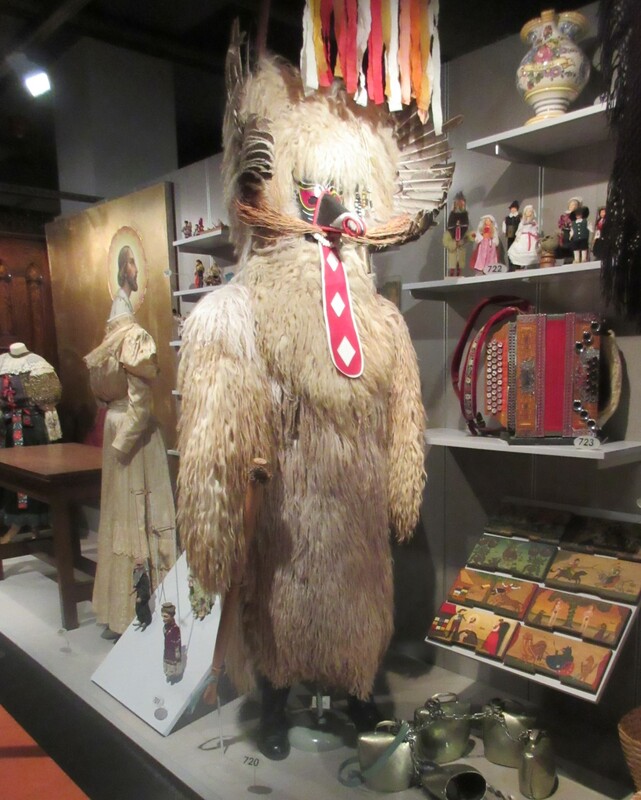 The Korant, Korent, or Kurant (sources vary) looks like a scary monster, but he was a good monster with a pivotal role in Slovenian folklore. 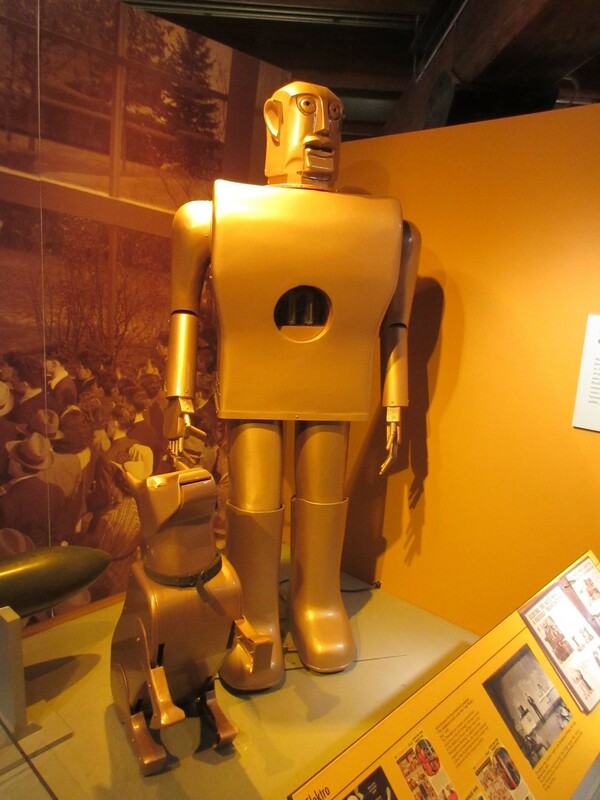 Elektro the Moto-Man and Sparko were creations of Westinghouse’s company who appeared at the 1939 New York World’s Fair. The primitive robot Elektro had a record player for a voice and could smoke because that used to be an important life skill. 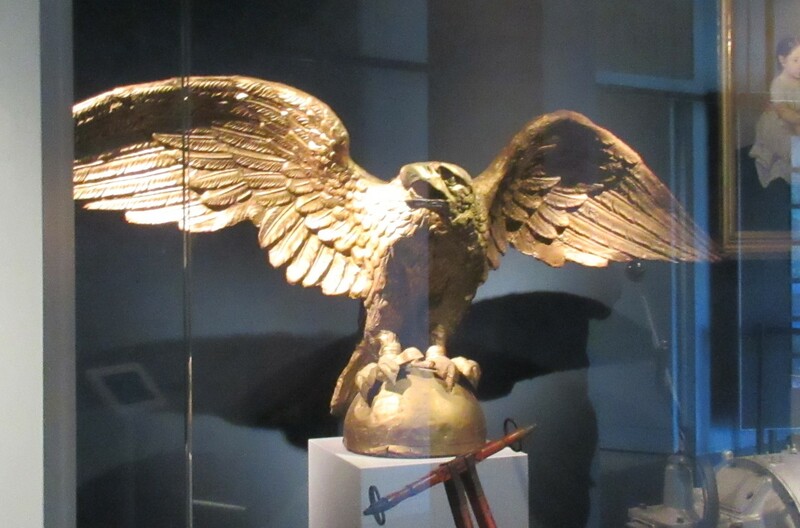 Gilded eagle that used to perch atop the Heinz building. His gilding had increasingly fewer carats after subsequent renovations. 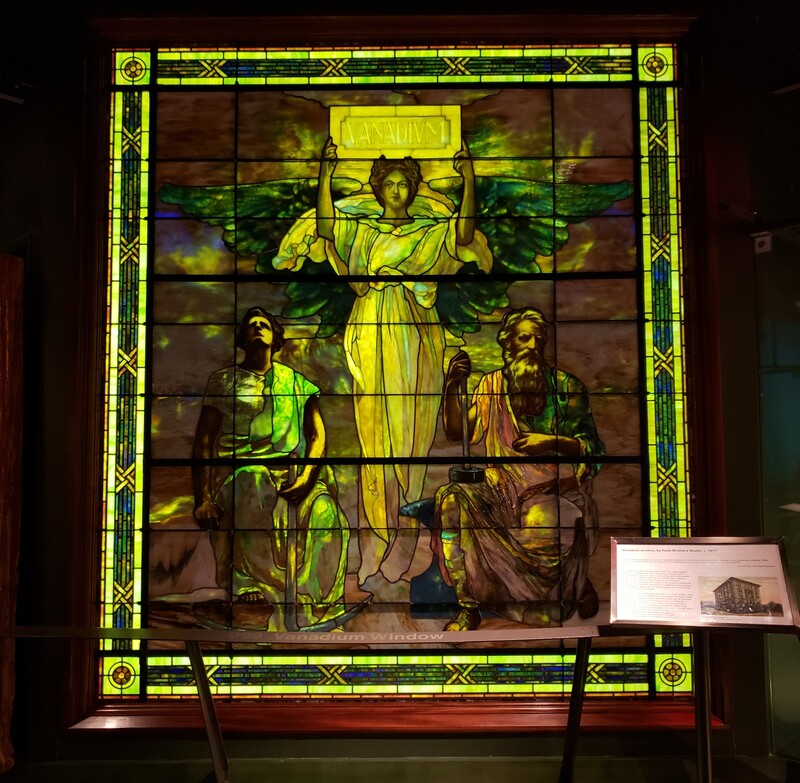 This 1912 stained glass once adorned the Vanadium Building, former headquarters of the nuclear industrialists at Standard Chemical Company. 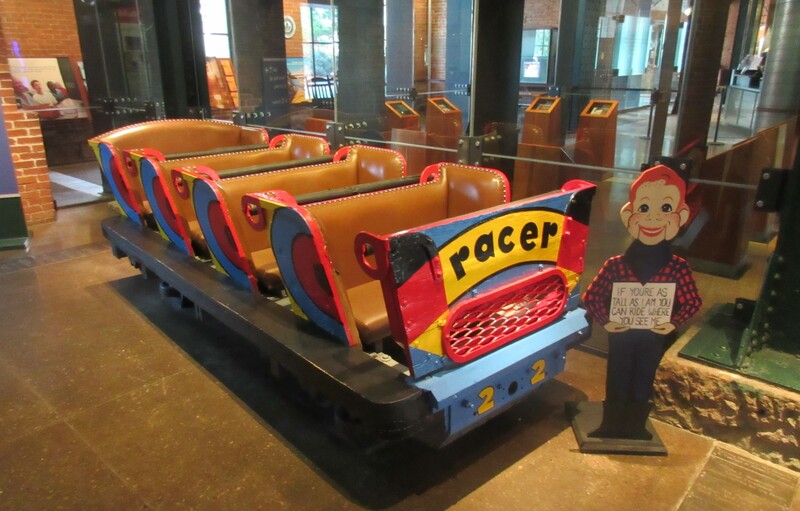 The first-floor selection of locally relevant cars includes Howdy Doody and this roller coaster car from a local amusement park. 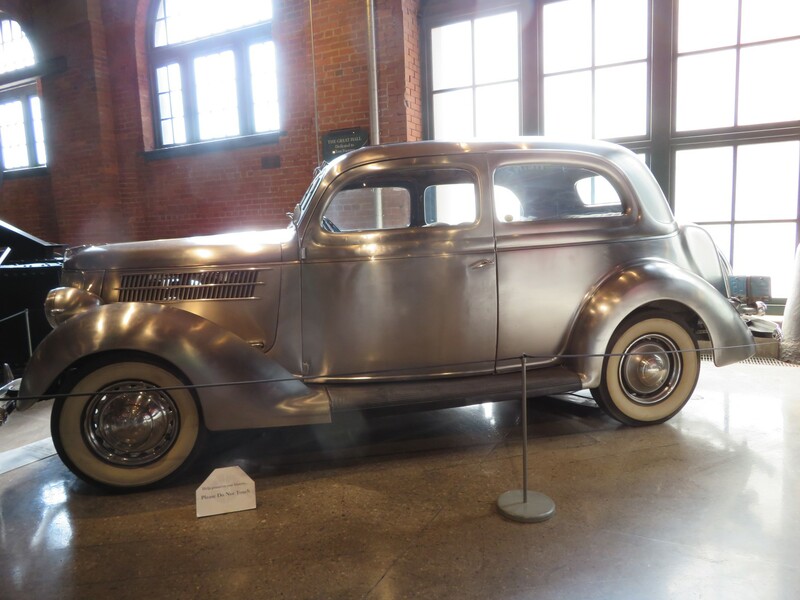 The ostensibly rustproof 1936 Ford Deluxe Sedan, made with stainless steel from Allegheny Ludlum. The best local-celeb collage covered the skin of the 2003 sculpture “Lost Pittsburgh” by Shirley Yee and the Art Institute. You;ll note faces on the stegosaurus’ plates include, of course, Mister Rogers. 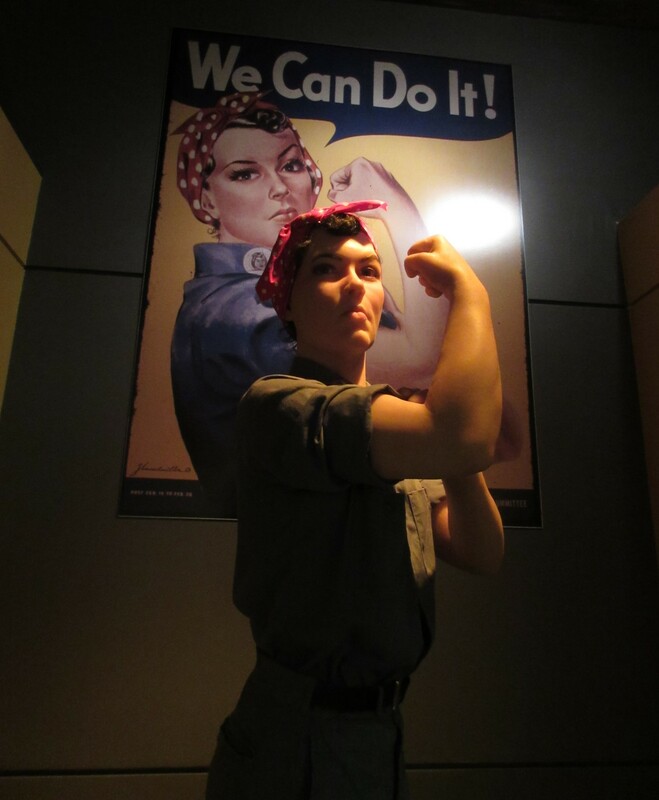 …and then we left Pittsburgh and trudged onward. We had two more states standing between us and home, and two more dead Presidents to cross off our checklist. No, we hadn’t forgetten about that part.